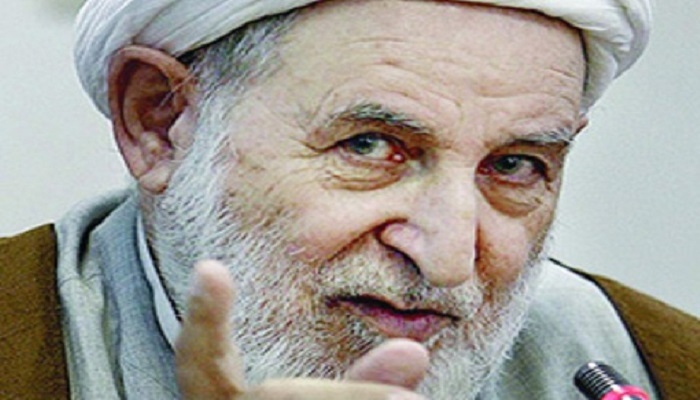 The Wall Street Journal ran a story the other day saying the Iranian regime had announced the installation of conservative mullah Mohammad Yazdi as the new chairman to the Assembly of Experts, the body that chooses and supervises the regime’s Supreme Leader, a post currently held by Ali Khamenei, who – if news reports are to be believed – is in poor declining health. While the news, in and of itself, might not be too surprising, it does illustrate a key point about the nature of the Iranian regime that has a direct bearing on current nuclear talks between the Islamic state and the P5+1 group of nations and that is no matter what the public perception might be about a more “moderate” face to Iran, the nation is still firmly and unquestionably in the control of the religious conservatives. The timing of the move is also interesting considering other moves the regime has taken in the past few weeks to reinforce the perception that it will remain a bastion of Islamic extremists and is not interested in moderating its policies just to gain a deal. These include regular public denunciations of America as the “Great Satan” and the blowing up of a mock U.S. aircraft carrier in military exercises. The regime has also stepped up its tactical command and control of Iraqi military forces and Shiite militias in the fight with ISIS as it bulks up its ability to extend military power by the commissioning of a new home-made naval warship. The decision to appoint Yazdi is a crucial one since Khamenei’s death would require a selection of a successor and he is the natural choice given his elevation within the mullahs hierarchy. Yazdi also is a member of the mullah’s Guardian Council and former regime Chief Justice, with lots of blood on his hand. Why his election is significant, because it illustrates a key conundrum Obama administration officials have been reluctant to talk about which is there are no divisions between “moderates” and “conservatives” in a religious theocracy where the wishes of a small cadre of ruling mullahs carry the power of law. This narrative of moderates vs. hardliners in Iran is largely a fabrication of the news media controlled by the Iranian regime in order to present to the world the perception there is a battle of wills and ideas and that by acting in a certain way, the forces of moderation will be supported. Which are exactly what the West and the U.S. in particular has been doing the past three years. There is a perception in the Western media that Hassan Rouhani is some kind of soft, lovable teddy bear of a moderate who is only interested in holding back the dread forces of darkness and medieval thinking in his own country. It’s a perception bolstered by the non-stop lobbying and branding efforts of the regime’s U.S.-based supporters including the National Iranian American Council. The truth of the matter is that Rouhani is in lock step with his hardline brethren since his days running the regime’s National Security Council and a past negotiator on previous nuclear talks that also collapsed and failed. The fact that during his tenure of president, Iran has stepped up executions to over 1,200 according to Amnesty International and instituted broad crackdowns on internet access, news media, social media and minority religious freedoms leaves little doubt Iran has veered even more conservative since his election. This is not a man of moderation, but a man that can work well with either Khamenei or Yazdi. © Copyright 2019 IranLobby.net · All Rights Reserved.